Maritime Vinyl: 180 gram records.. Are they worth it?? 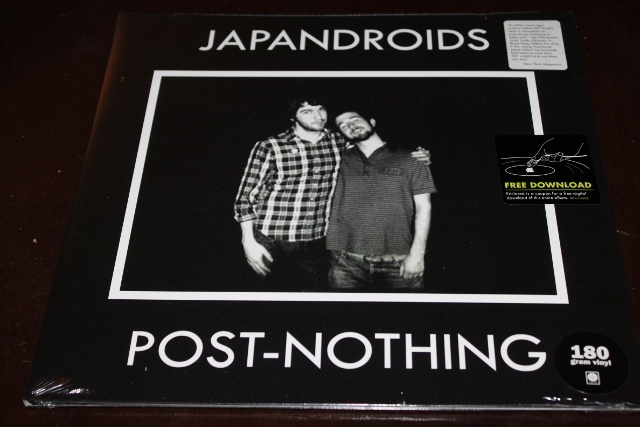 The big advertising strategy among new vinyl is pushing the fact that it is pressed on 180 gram vinyl. This seems to especially grab the attention of new people getting into vinyl, regardless if they even understand what it means. 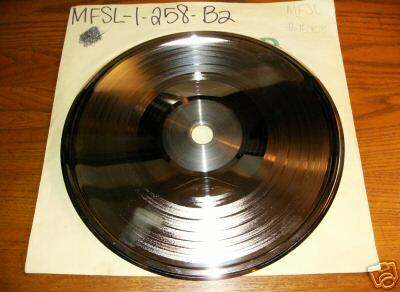 What is a 180 gram record? 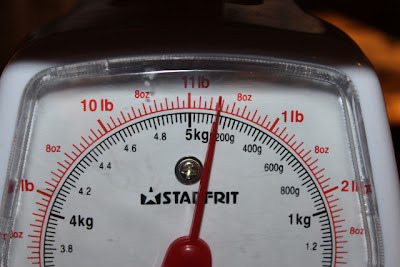 Exactly as it sounds, the actual vinyl record weighs 180 grams. Older records were pressed on vinyl between 120 and 150 grams, which is much more flimsy and prone to warping (not to mention flexi discs which I’ll have to cover on an entire separate post). Now let’s look into it and see if my “less prone to warping”theory is the main advantage. What can cause a record to warp? One way is to have it stored improperly and having the record leaning to one side. Think of a piece of paper on its side packed on a shelf with lots of other paper pushing against it. This piece of paper will stay straight. If you take some of the paper supporting it away from the sides, the paper will naturally curve/bow as it is not rigid enough to stay straight up and down without support. Now records are a little more rigid than paper but thin records are definitely not completely rigid. If records are leaning, after time this will cause the vinyl to bow and warp. 180 gram records are more rigid and thicker; therefore do not warp as easily when they are leaning. Think of cardboard in place of the paper, although it can still curve/bow, it will not as easily since it is thicker. Another cause of warping albums is heat. Vinyl melts! This is a proven fact. Throw one of your Olivia Newton John records in the oven and see what happens. It will melt. So if you leave records around heat they are going to get soft and warp, it is just a matter of time. A few ways these records get in these hot situations is if you leave records in a hot car in the summer, or if you leave records resting on top of your receiver which generates heat. 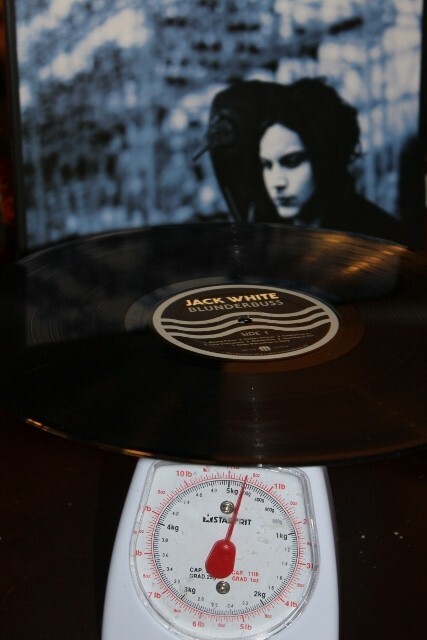 The 180g records being heavier and thicker tend to withstand heat better. Now they are definitely still susceptible to melting; however, you may have a little more time before this happens. So yes, generally speaking the fact that these 180 gram records are thicker and more rigid, they are less prone to warping. So this is one advantage. 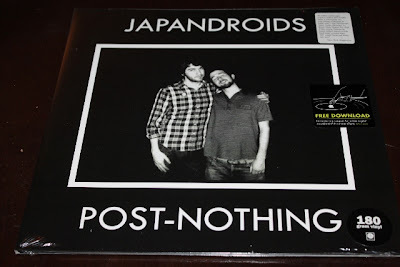 Now let’s look at another claim about 180 gram vinyl. Some claim that the thicker LP’s have deeper grooves which improve the sound, while others say that this is not the case and they are all using the same press, therefore the same grove depth. Some people also think that a deeper groove would give an advantage in sound. So are grooves thicker on these 180 gram platters? From the research I have done, the general consensus is no! Regardless of the thickness of an album, the grooves are not deeper. The easiest way for me to explain why is to give a quick background on how vinyl records are pressed. First off you need a lacquer master. It is an aluminum disc that is coated with nitrocellulose lacquer (similar to nail polish) and which is 14 inches in diameter. This is known in the business as an "acetate." This disc has in it all of the grooves that are the final mastered sound of a recording. This is done by a specialized "cutting" engineer. So this is the “master record”per se. This has all the grooves that you want eventually pressed into the vinyl. Next up they need a metal stamper. They take the lacquer master and electroplate it with tin, silver& nickel to create a metal stamper. The stamper is a negative of the lacquer master. 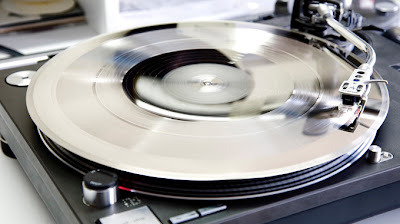 Think of pouring glue over a record, letting it dry and then peeling it off. It would have the opposite of the record grooves right? All these lines that would actually be sticking out which would be the exact opposite of the grooves. So now imagine this is made of metal and you have your stamper. This stamper is put in a record pressing machine and stamps these grooves into a bunch of blank vinyl discs making these records that I love so much! Pages and pages could be written on the process of pressing records but this is a quick rundown to give you an idea. So now that we have a little background, these grooves that are made in the lacquer master are not very deep. So saying that a 180 gram record allows for a deeper groove is kind of an empty argument. Normal records (say 140 gram) have plenty of room for deeper grooves. If deeper grooves in fact did improve sound, they have plenty of room on thinner records to make them deeper. We don’t need the extra space that 180 gram provides to allow this. There is a lot of discussion on this topic back and forth on many online message forums. When it comes to message forums, I do not take anybody’s responses as necessarily correct; however, it does give me a great starting point on what to look for and a lot of time people post backup information which is great. The majority of folks on the message forums concluded that this does not seem to be the case. Regardless of the thickness of the vinyl, the groove depth tends to be the same. I needed a little more concrete information on this so I kept digging. I found an interview with Ben Blackwell on www.collectorsweekly.com . Ben is head of vinyl production at Jack White’s “Third Man Records”. He confirms that all records have a standard groove depth, regardless if they are 180 gram vinyl or the standard vinyl. He even goes on to say that if they did press deeper grooves, our turntable would not be able to play the records correctly. 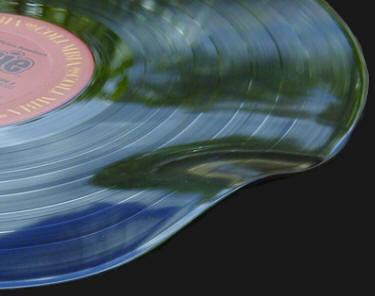 Ben states that the major advantage of 180 gram vinyl is that it is less prone to warping. Which is my theory! So basically, yes, grooves can be cut deeper, depending on how deep the grooves are made on the master lacquer, but this proves no advantage to 180 gram vinyl as there is plenty of room between the both sides of a record (even on the thinner ones) to allow for deeper grooves. Even if some quality of sound can be attributed to the weight of the vinyl, what is really going to make a record sound great or not is mostly up to the mastering in the studio. If you record a song on your iPhone and press it to the heaviest vinyl out there, it’s still going to sound like you recorded it from your iPhone, no matter how much sonic tweaking is done. At the end of the day it all comes down to how does the record sound! Sometimes buying re-releases on 180 gram is not optimal just because the re-mastering ruined the recording. A lot of people prefer the original analogue releases of albums and are not interested in the digital re-releases. A good example of this is the new 180 gram re-mastered Beatles LP’s that are being released now. Regardless of how nice these heavy platters are, they are not the original analogue recordings that were released back in the 60’s. A lot of people still prefer these analogue recordings (and pre-digital era pressings) to the new digital re-masters. So in this case I would personally lean towards the original lighter vinyl, as its closer to the originally intended analogue sound. Note from Keltie** - Some independent companies like Analogue Productions & Audio Fidelity have been producing "all analogue" pressings for years, eschewing the digital process. Using the best possible original analogue master tapes, they give the consumer top notch re-issues. Some of the major labels are embracing the "all analogue" process again. One recent example (and one of the best lately) of a major label putting out a good sounding (all analogue) vinyl re-issue is EMI's "100th Anniversary" edition of "Imagine" by John Lennon. Unfortunately, most of these re-issues are limited to no more than a few thousand copies, making them all the more desirable. So what did I learn from all of this research? I have been doing a lot of reading on this topic through different record related message forums. While nobody seems to have anything more than a general opinion rather than having any backup, the majority of people tend to agree that the hype of 180 gram records, while nice, is unnecessary. The collector in me still looks for original pressings when it comes to some artists, but generally I’m usually looking for the absolute best listening copy. Some of these re-releases far exceed the original pressings. So the first and most important selling point to me is basically – how does it sound? 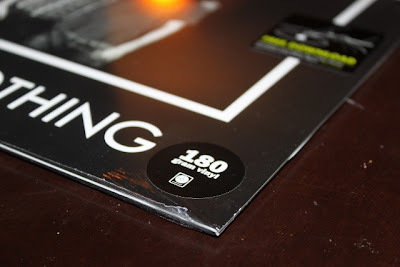 If the 180 gram sounds better I’ll get it, however if the 180 gram copy is only a crappy re-mastering using digital techniques rather than the original analogue mastering which had nothing that needed fixing, I’ll leave the 180 gram album alone and go for the original. However; putting all “fidelity” advantages aside, the improved durability of the 180 gram record is enough alone to get me purchasing them. So say what you will about 180 gram vinyl. Some people love them and some people think they are a waste of vinyl. I however am impartial really. I do like the fact that they are sturdier and less prone to warping, so if this is the only comparison, I will go for the 180 gram. The only reason I would not get 180 gram is if the mastering of a recording I want is only available on a lighter record.